Earlier this week, Niantic Labs released Daily Quests for players of Pokemon GO. The update brings in special bonuses and rewards for completing certain actions in the game each day. Also, more bonuses are earned the more days in a row the objectives are met. 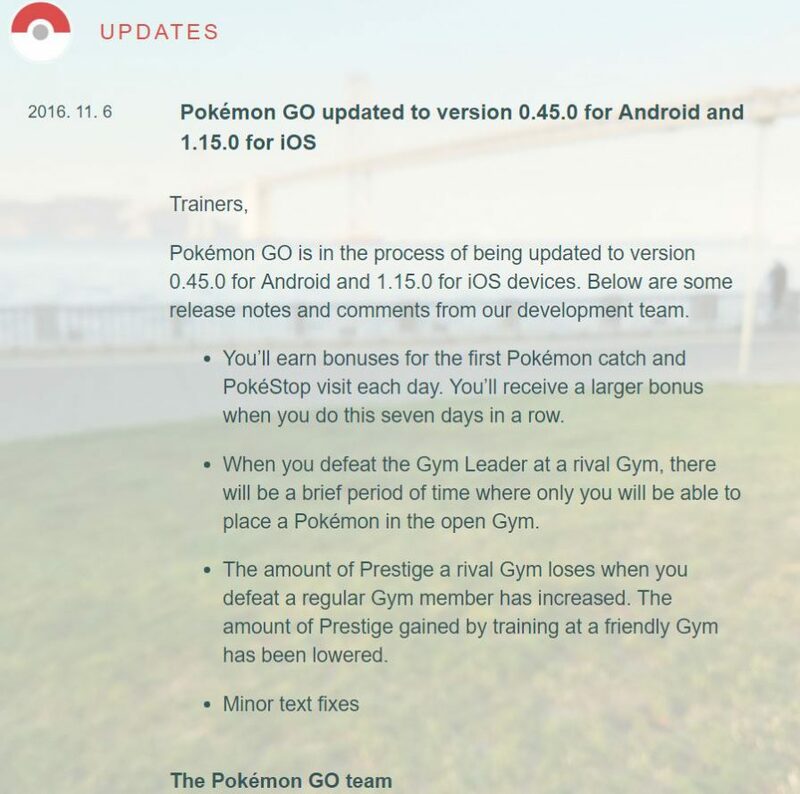 Go ahead and take a look below of the full update from the Pokemon GO blog. They have just been cranking out updates lately. You may not be super excited about those minor text fixes, but the rest of the stuff looks pretty neat. As of now, each day gives a new reward for the first catch and Pokestop. There are larger bonuses in store when you do this seven days in a row. It’s unsure yet whether or not this stacks, but I see no reason why not. Other than adding in daily quests, the gyms have been tweaked a bit. The good news is that when you defeat a gym now, you have a grace period where only you can claim it for yourself. Before this update, it was up for grabs for literally any nearby player. However, the gym update doesn’t stop there. It will now be harder than ever to keep a gym. Training gyms now goes slower, and defeating gyms takes them down faster. Nothing stops the fire in a Pokemon Trainer than seeing the map light up with Pi.. In Pokemon GO, there always seems to be some kind of new trick or secret being d..